New participatory music for Shabbat worship that emphasizes the new spirit of the Synagogue today, encouraging congregational participation. 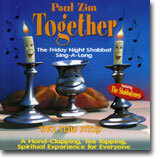 The Shabbat in song for young kids and kids of all ages! 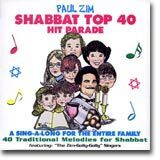 These original melodies by Paul Zim and sung by a fantastic children's choir starts with Friday evening and ends with a spirited arrangement of Eliyahu HaNavi for Havdalah. The best Shabbat Songs from yesterday and today! See what they're saying about Shabbat is Here!